On our first afternoon in the Tangier medina, a soft-spoken old man invited my wife and me to step inside his carpet shop to “have a look.” When we showed interest in a small piece, he suddenly vanished, replaced by The Closer – the rabidly aggressive owner of the store. After being cajoled, pressured, and begged for far too long, we finally stumbled out, exhausted. Undeterred, we continued our walk, dodging one shopkeeper after another, each shouting: “English? Espanol? 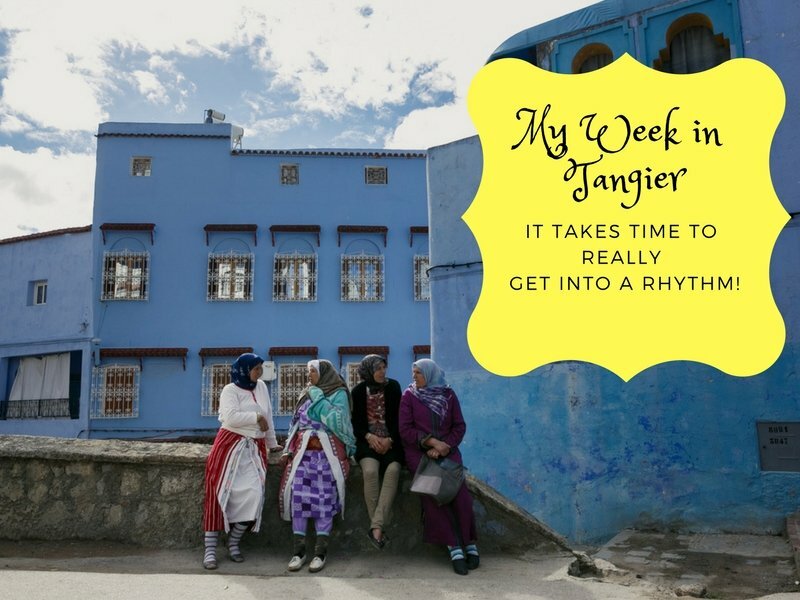 Just have a look!” This was going to be one long week in Tangier! That evening, we met a laid-back street vendor named Ali, who had a perfect American accent. We weren’t interested in the belts he was hawking, but we had a long conversation about how he learned to speak American English so well. Eventually, he offered to bring us to a restaurant for great bastillas, our favorite Moroccan dish. This was the first day of a full week in Tangier, which some people might say is far too much time there. I disagree. My wife and I prefer to slow down and get the feel of a place, to talk to people and experience the culture as we travel. 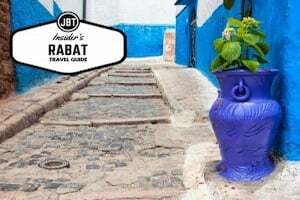 If you have the time, and luckily we did, Tangier has a colorful, relaxed vibe that invites you to get to know it more thoroughly. 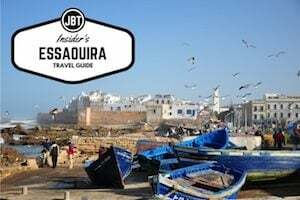 The medina of Tangier turned out to be one of my favorites in all Morocco. It was just big enough to get lost in, yet small enough that it wasn’t so overwhelming. While we waited for our bastillas, Ali asked us if we liked wine. The one gift my father-in-law had requested we bring back from Morocco was a bottle of good red wine. We took him up on his offer and off he went with our $20. After what seemed far too long, we wondered if he was coming back. Finally, Ali returned to the restaurant with a bottle of Cuvée du President. He assured us it was “the best” and we happily dragged it all over Morocco for the rest of our time in the country. Weeks later, we shared the story with the manager of Chez Pierre, a gorgeous auberge in the Dades Gorges, and learned that Ali probably only paid 50 dirhams for our bottle. Lesson: If a stranger suggests giving them money to buy you something, they will most likely keep their word – but they will include a commission in the price. If you don’t know how much something should cost, that commission can be quite large! Anyway, the bastillas were delicious. In fact, I returned on my own for lunch and again a few days later with my wife. The owner recognized us and treated us wonderfully. After dinner, we lingered over mint tea and Moroccan sweets. When most of the other diners had left, the owner pulled up a chair and we all talked for over an hour—about love and life, about meeting his wife when she was only 15, about their 6 children, and about our own family. When we finally left, he presented me with a beautiful Moroccan kufi (a kind of hat) as a gift. During our week in Tangier, I returned to the medina and the area around the adjacent Place Avril 9 (Grand Socco), nearly every day. I’d wander, making it my mission to find the American Legation or Caid’s Bar or any other interesting-sounding sites listed in my travel guide. Afterward, I’d relax at Café Tanger off the Petit Socco, nursing a café au lait and watching life go by. 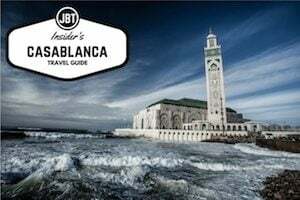 By the end of the week, I’d learned the rhythms of that famed square, where locals buy meat and produce while waves of tour groups advance and recede, street hawkers rushing in to pick at them like sandpipers at the water’s edge. Sometimes the hawkers tried to sell me their wares too, but instead of feeling bothered, I talked with them. I came to understand that although sometimes annoying, these men were good people, trying to make a living to support their families. On my last day in Tangier, a street hawker who had previously tried to sell me tchotchkes saw me. He didn’t try to sell me anything. Instead, we greeted each other like old friends. 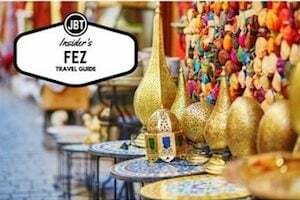 None of the shopkeepers asked me to “just have a look” and after a week in Tangier, I felt like more than a traveler. I felt like I was home. 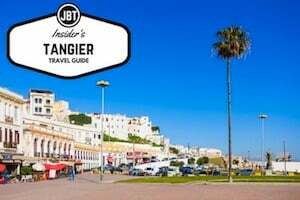 Read more about Tangier in our travel guide of this magical city of northern Morocco! Mike Bernhardt left a career in IT at the end of 2016 and now pursues two of his passions at the same time– traveling and writing. He gets to do it with his third passion, his wife Yvonne! You can read more about Mike and his travels around the world here: travelingwithmikeandyvonne.com.